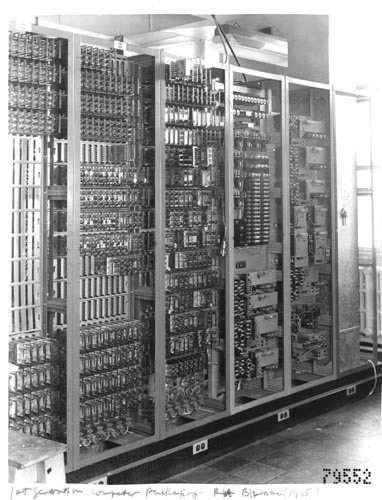 B&W image of RCA Bizmac computer frame. Has covers removed to show components. Writing bottom margin: " 1st generation computer packaging - RCA Bizmac (1955)"